If any of your Facebook friends copy-pasted the following text to their wall, kindly let them know it's yet another hoax. 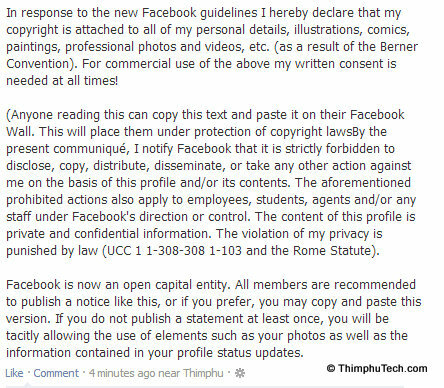 The truth is, once you agreed to the Facebook's terms, posting a piece of text on your wall is not going to change that. Sorry!